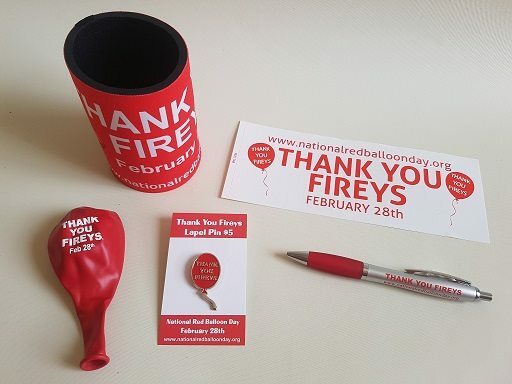 This February 28th is the fourth "Thank You Fireys" day. Proceeds from merchandise sold, go back to the fire protection services in your local area. Merchandise items include stubby holders, car stickers and pens, and for the first time metal lapel badges are also available.